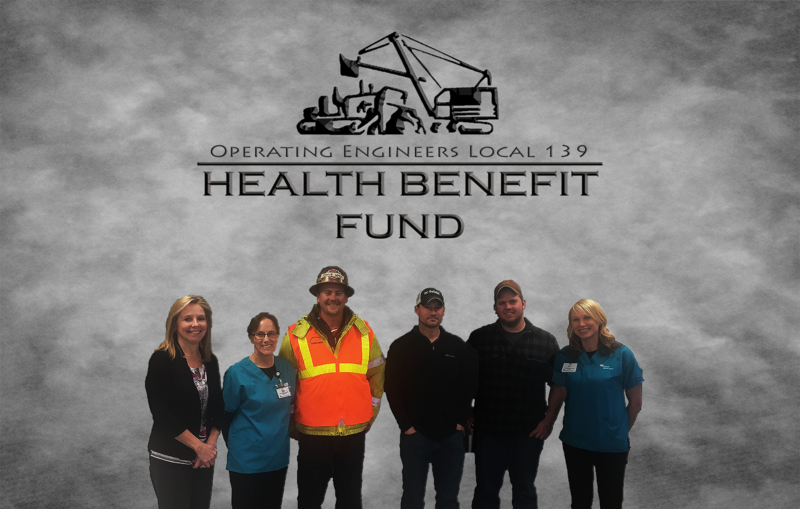 The Trustees of the Operating Engineers Local 139 Health Benefit Fund approved a special health screening, covered 100% by the Health Fund, for eligible members. We understand that some people do not have a primary doctor, do not have an annual physical, or are too busy during the work season to go to their doctor. We have a solution for you! 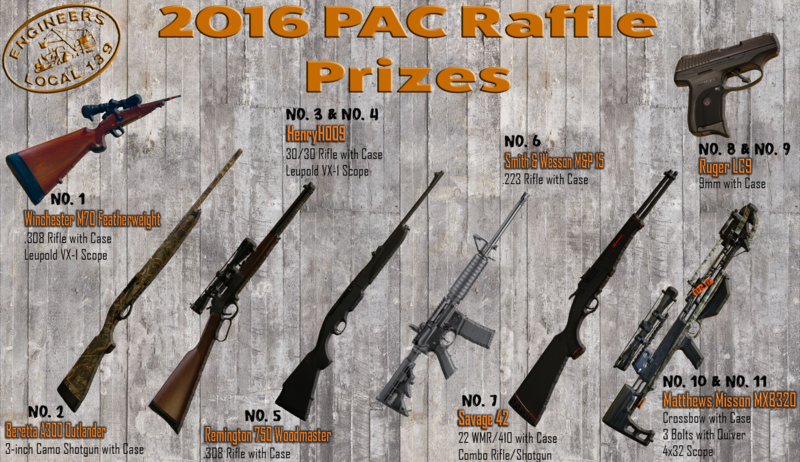 2016 PAC Raffle Winners Announced! In support of the Union’s State Conduit Political Action Committee, the Operating Engineers Local 139 held its annual raffle featuring firearms and crossbows as prizes today at the Madison General Membership Meeting. Thank you to all who purchased raffle tickets. 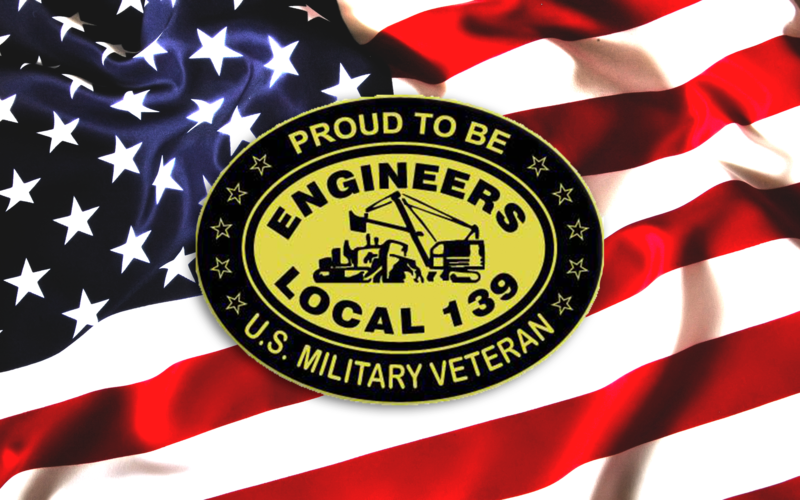 New Sticker for all Registered Local 139 Veterans! 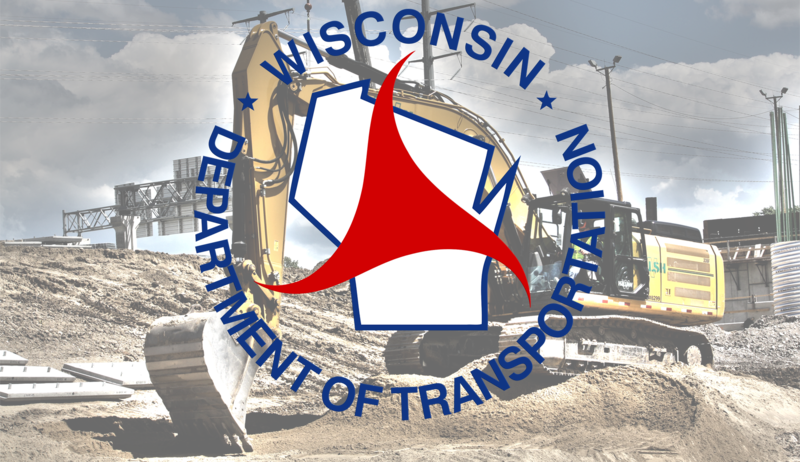 Members who register on the Local 139 website via the Member Portal as honorably discharged from the US Armed services shall receive this hard hat sticker! Those who have registered already shall also receive one!